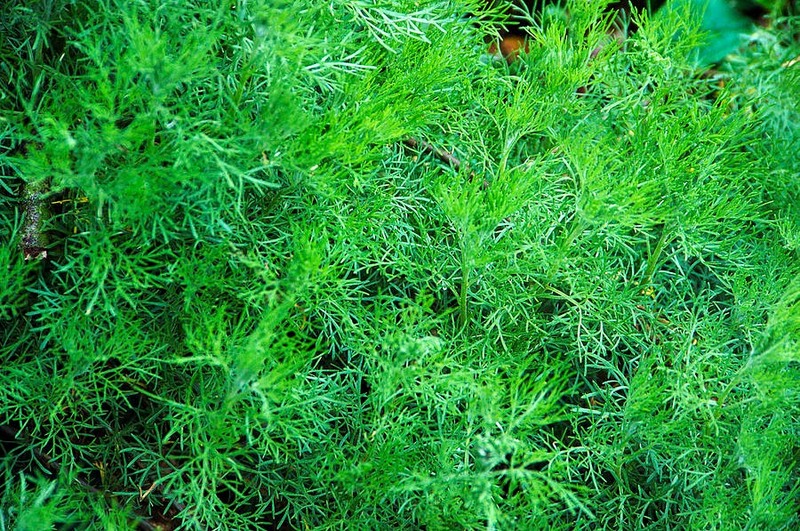 Southernwood (Artemisia Abrotanum) is a shrub-like plant that grows perennially to a height of three feet (one meter) and possesses a potent aroma. The stems of this shrub are woody, while it bears fluffy leaves that have a silver-green hue. The flowers of this plant are yellowish in color. 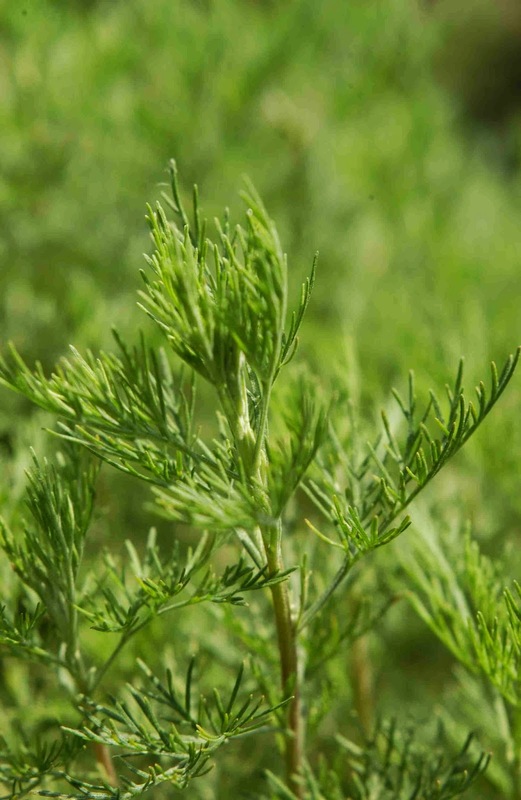 Southernwood belongs to the genus Artemisia, which also includes other species like wormwood (used as an ingredient in absinthe - a green, aromatic liqueur) and mugwort. This herb exudes a potent odour akin to that of camphor and has been traditionally employed in the form of air freshener or strewing herb (herbs that were strewn on the floor or carpet for their aroma). Southernwood is basically a undersized luxuriant shrub that is extensively cultivated by gardeners. Southernwood is indigenous to the southern regions of Europe, but is rarely found growing in the wild. Nevertheless, this plant is mainly cultivated for its use in the perfume industry and, to some degree, for its medicinal properties. The aerial parts of southernwood are collected during the later part of summer. 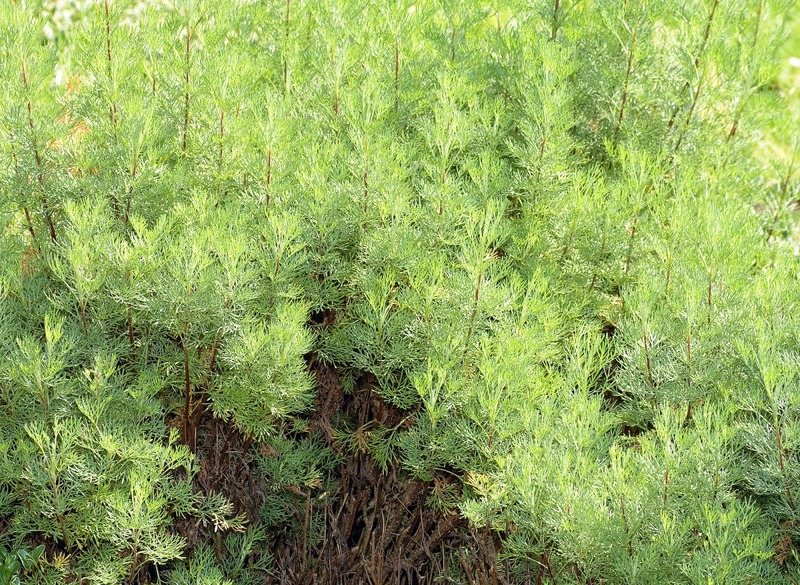 This perennially growing bushy shrub (Artemisia abrotanum) is found in three different varieties - camphor- scented, tangerine-scented and lemon-scented. All these types of southernwood may be propagated during the fall or spring either by root division, seed or cuttings. Southernwood was a greatly prized herb during the Middle Ages as well as the Renaissance, but currently southernwood is rarely used in herbal medicine. Present day herbalists consider close species wormwood to be superior to southernwood. Similar to wormwood, southernwood also encloses potent volatile (unstable) oil that keeps insects away and the leaves of the herb are also kept among clothes to prevent them from damage by moths. Southernwood is a bitter tonic, which reinforces as well as supports the digestive functions by means of augmenting secretions of juices and enzymes in the stomach and intestines. An infusion prepared with the dried herb is given to children to treat intestinal worms. However, children should only be administered this infusion following consultation with professional practitioners of herbal medicine. Similar to other species in the genus Artemisias, southernwood also promotes menstruation and is generally taken internally to stimulate the beginning of absent or irregular menstrual periods. For long, southernwood has been used as an herbal home remedy. However, southernwood is rarely used in herbal medicine these days. Southernwood is a potently fragrant and bitter herb which helps to enhance the functioning of the stomach and liver. At the same time, this herb invigorates the uterus and promotes menstrual flow, alleviates fevers, unwinds the spasmodic muscles and eliminates intestinal parasites and worms. Southernwood and particularly the tender flowering shoots of the plant possess antiseptic, deobstruent (a medication that gets rids of obstructions), anthelmintic (any substance or medication that eliminates parasitic worms), stomachic, emmenagogue (any medicine that stimulates menstrual flow) and tonic properties. While the herb is an excellent tonic and also possesses a number of nervine attributes, southernwood is primarily used as an emmenagogue to promote menstrual discharge. Occasionally, the herb is also given to children to expel intestinal parasitic worms and applied topically to minor wounds with a view to stop hemorrhages and also to heal the injuries. In addition, southernwood is also employed in aromatic baths as well as used topically in the form of poultices to heal skin disorders. Here is a word of caution. This herb ought to be used with caution when taken internally, preferably on the recommendations of a qualified practitioner of herbal medicine. Moreover, southernwood should not be given during pregnancy, particularly during the first three months, as southernwood may stimulate menstrual discharge and eventually harm the fetus. When southernwood is grown in orchards, the growing shrub fends off moths that invade fruit trees. In addition, you may also rub the fresh plants onto your skin with a view to put off insects. The shoots of the herb may be dried and used indoor to ward off flies, mosquitoes and other insects as they are effective for about six to 12 months. In fact, dried out southernwood is also known to put off ants. In addition, you may burn the shoots of the herb in your fireplace to get rid of the cooking smell from the house. As the leaves of southernwood possess an aromatic smell akin to that of lemon, they are often used in potpourris. The essential oil extracted from the leaves as well as the flowering shoots of the herb is used in making perfumes with a view to add some amount of delicate tones. The branches of southernwood yield a yellow colorant or dye. Southernwood plants may also be grown in the form of a short hedge, as they are able to endure hard clippings to a great extent. An infusion prepared with the whole herb is employed in the form of a hair conditioner or tonic. There was a time when southernwood was employed to cure problems of the stomach, liver and spleen. Barring in Germany, southernwood is rarely used in herbal medicine these days. In Germany, people still use the herb as poultices for applying topically onto wounds, skin disorders and splinters and sometimes even to cure frostbites. It has also been found that the elements enclosed by southernwood facilitate in invigorating the gallbladder and bile, which, in turn, enhances digestion as well as the functioning of the liver. In aromatic herbs, the leaves of southernwood are blended with other herbs and this is known to cure insomnia or sleeplessness. An infusion prepared with the leaves of the herb is believed to function in the form of a natural insect repellent when it is applied topically to the skin or when it is employed in the form of a hair wash, it helps to get rid of dandruff. Among its several uses, southernwood is also used for culinary purposes. The young shoots of this shrub possess an astringent, lemony taste and are employed in small amounts for adding essence to salads, cakes and vinegars. The young bitter shoots of southernwood are also used to prepare an herbal tea. Generally, herbal preparations with southernwood are considered to be safe and there has been no complaint whatsoever regarding any toxicity caused by the plant. However, some people may experience dermatitis as well as other allergic reaction when their skin comes in contact with the plants belonging to the genus Artemisia.